Stroller Barre® is a unique blend of ballet, Pilates, barre, yoga and stroller-based exercises incorporated with everything our moms love about Stroller Strides®. This workout is designed to help moms build strength and muscle tone and improve posture all while their little ones are in tow. Created by a mom who was formerly a professional ballerina, this class incorporates prenatal and postnatal training and yields amazing results in an exciting, fun format. Postpartum women tend to have tight and weak pectoral (chest), abdominal and quadriceps muscles. In addition, the back and hamstrings muscles become stretched and weak. This occurs due to hunched posture from breast or bottle feeding, excessive spinal curves while carrying baby in utero and after birth, and repeatedly picking their new (and rapidly growing) baby up. 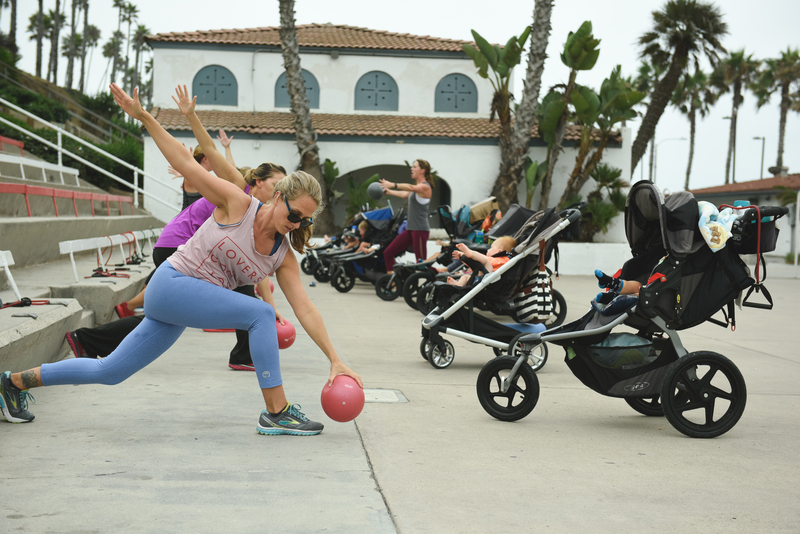 Stroller Barre® focuses on strengthening and creating an ideal length/tension relationship in all the postural muscles, creating a taller, leaner-looking mommy! Scroll below for a view of our upcoming schedule and to enroll for a class... Your first workout is complimentary!